If you inter­ested in find­ing out more about sol­ar hot water pan­els for your roof, there is more inform­a­tion here. If you have any ques­tions and would like to find out more about the scheme, please con­tact Charlotte Bickmore at charlotte@pedal-porty.org.uk or on 0131 258 4483. 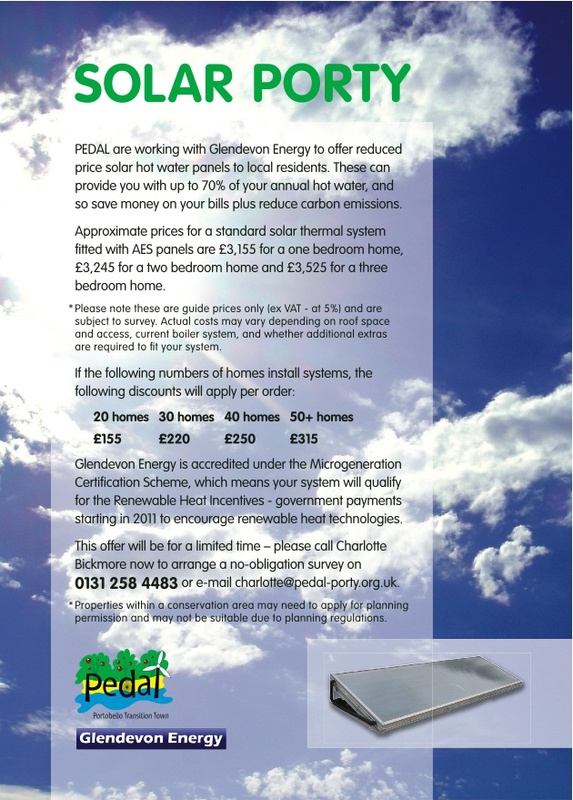 Pingback: Solar Porty Scheme launched!